of the Planets. 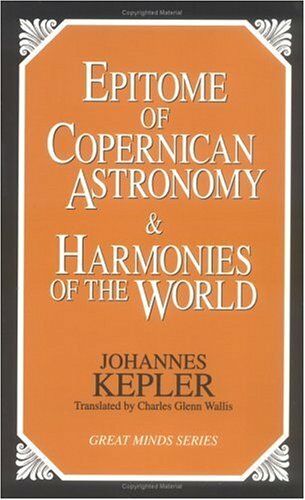 Harmonies of the World (book 5 of which is translated here) expounds an elaborate system of celestial harmonies depending on the varying velocities of the planets. teachers in predominantly Catholic Austria. Some of his ideas about cosmic harmonies, such as the theory that the spacing of planetary orbits is related to the five regular polyhedrons, were incorrect. Yet his basic approach of seeking a broad sense of order and harmony in the world led to the discovery of mathematical regularities involved in planetary motion, and ultimately, to the elegance of Sir Isaac Newton's laws of motion. Kepler's Somnium, a fictional account of a voyage to the moon, is cited by historians of rocketry as an early work of science fiction that might have stimulated interest in space travel.